Achieve personal mastery as you transcend challenges and learn secrets of soaring new heights. Mastery does not happen by accident. It is a process that occurs as we interact effectively with the events and circumstances of our lives. Each moment of our lives provides an opportunity to practice mastery by expanding our visions, awakening the faculties of our minds and our hearts, and assuming full responsibility for living, growing, and contributing. Emotional intelligence describes the ability to understand one’s own feelings, and that of groups, and how these emotions can influence motivation and behavior. 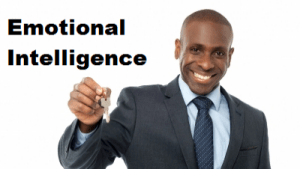 The concepts of Emotional Intelligence have been around since at least the 1900s, but the term was first introduced by Wayne Payne in 1985. As a result of the growing acknowledgement by professionals of the importance and relevance of emotions to work outcomes, the research on the topic continued to gain momentum, but it wasn’t until the publication of Daniel Goleman’s best seller Emotional Intelligence: Why It Can Matter More Than IQ that the term became widely accepted by the mainstream. Our workshops help develop knowledge and skills that will significantly increase effectiveness and ability to successfully interact and lead others. Never before have such diverse and critically important business, interpersonal, and leadership topics been combined into a training series with such impact. These workshops use the latest techniques in adult learning- including simulations, case studies, behavior modeling, application exercises, group discussion, and skill building. The emphasis is on application rather than theory. It enables participants to learn new competencies and gives them the tools to apply them in the work place. Click on the topics of the workshops offered to get more details. Emotional Intelligence Bootcamp is a two-day engagement, based upon the Advance Insights Profile (we call this the discovery process). All attendees will received the Advanced Insights Profile with Emotional Intelligence Attributes. The Emotional Intelligence Attributes are a unique application of the Attribute Index, and provide a deeper window into your abilities by analyzing your core attributes that reinforce excellence in emotional intelligence: Communications Skills, Interpersonal Skills, Self Awareness, Self Management, Social Awareness, and Social Skills. This is an extended engagement, delivered in eight 3-hour modules over the course of several weeks. People who attend this program will learn a set of principles that will change the way they view their lives as well as their performance on the job. They will grow in self-understanding, confidence, personal effectiveness, and their ability to handle the challenges/opportunities of the workplace. Such personal transformation forms the foundation for organizational transformation.